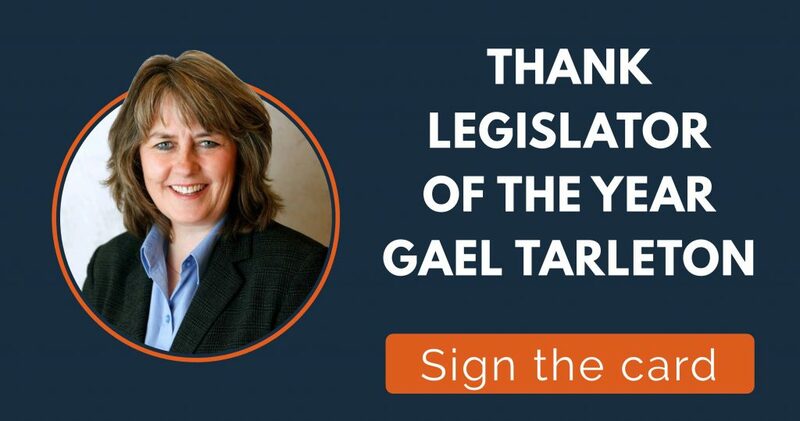 Click here to congratulate Representative Gael Tarleton for being named Legislator of the Year! Washington Conservation Voters, Washington’s political voice for the environment, has selected Gael Tarleton, Representative from Washington’s 36th District (Seattle) as their 2018 Legislator of the Year. Representative Tarleton was selected for WCV’s highest honor due to her steadfast commitment to protect the health and environment of Washington state. During her time in the House of Representatives, where she has served since 2012, Representative Tarleton has become a key leader on fighting and addressing climate change, supporting the emerging clean energy economy, and protecting rivers and streams from harmful mining practices. 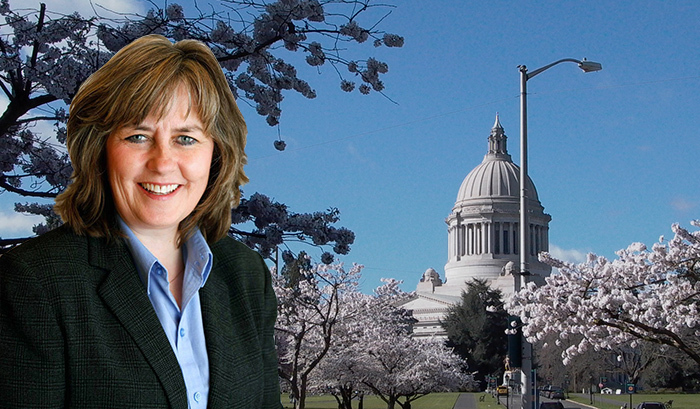 “Representative Tarleton has devoted much of her career in the House to promoting clean energy, tackling climate change, and building consensus to protect the health of our environment,” said President of Washington Conservation Voters, Shannon Murphy. “She has been one of the Legislature’s strongest leaders committed to promoting clean energy in our state,” she added. Pushed to protect salmon and steelhead from harmful mining practices in our rivers and streams. Beyond these highlights, Representative Tarleton has also supported efforts to give consumers better choices for energy efficient appliances and ensure the state Building Code Council can work to improve energy and water efficiency in our homes and businesses. “In the House of Representatives, there is no stronger champion for promoting clean energy and a fossil free future than Gael Tarleton,” WCV Lobbyist Clifford Traisman said. “She knows that we can grow economic opportunities and have a healthy environment at the same time – whether that’s cleaning up Puget Sound, protecting salmon habitat, or making Washington a favorable place for clean energy businesses,” he added. Representative Tarleton is Vice Chair of the House Technology and Economic Development Committee. Her district includes several western Seattle neighborhoods that border Puget Sound and Lake Union.